Max. 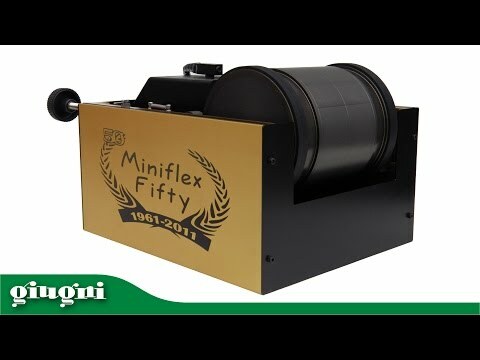 printing area: mm 100 x 500 Max. 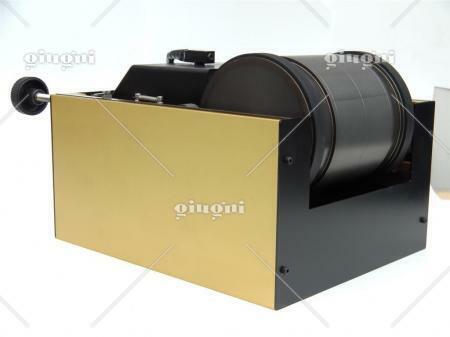 working speed: up to 120 metres per minute. Notes: patent application is pending on this machine of ours, the cheapest and most brilliant solution for in-line printing. 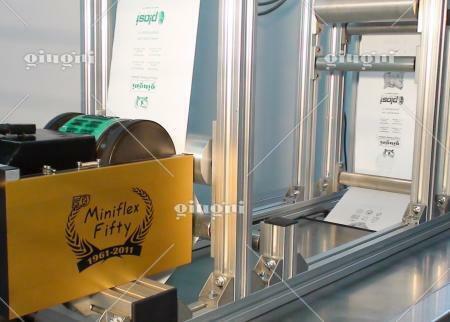 Miniflex 534 is our smallest flexo printer unit for one-colour logos, brands and writing. 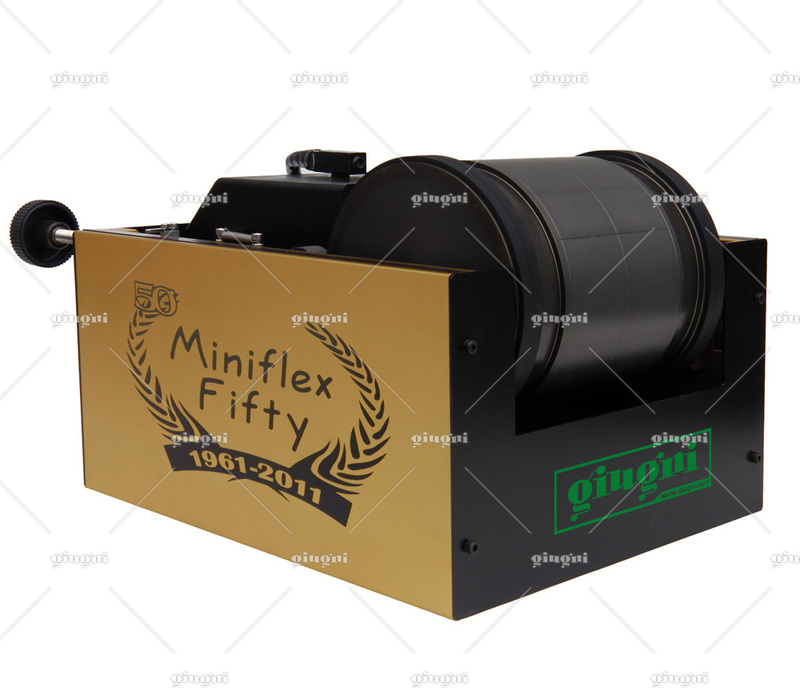 This equipment is also very easy to use. 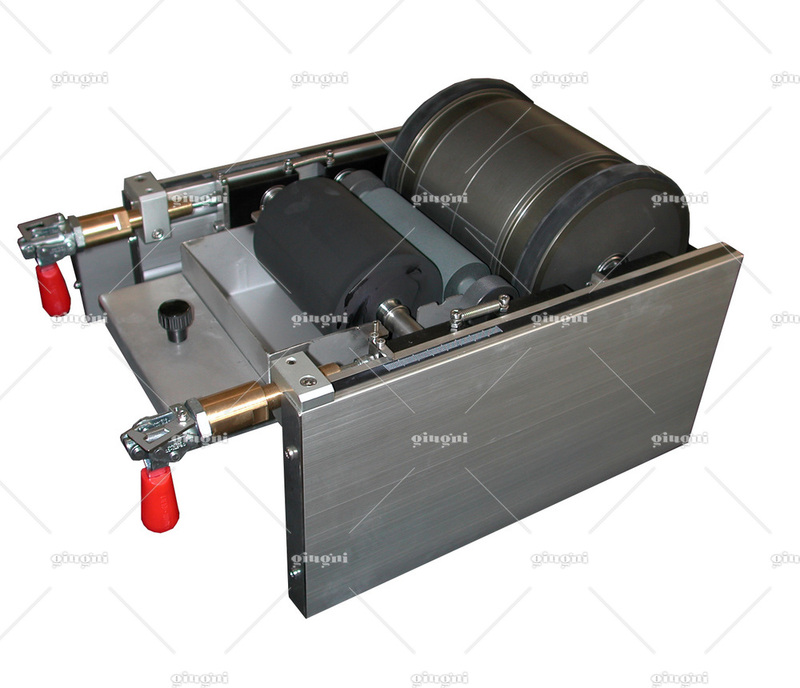 Indeed, it is completely manual; the machine should be placed in printing position in contact with the material to be printed manually by means of two knobs. Miniflex 534 is available with manual ink feeding system (the ink is put manually in the reservoir) or with ink recirculation system from bucket by pneumatic pump. In this case, the max. 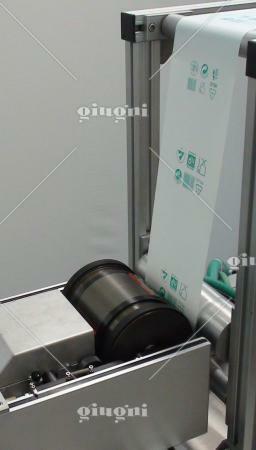 working speed is 120 m/min, while the printer can work up to 55 m/min, if it is equipped with manual ink feeding system.